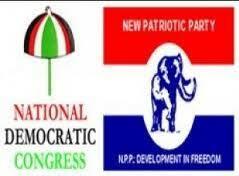 Fellow Comrades and Akatamansonians, as we all had alluded earlier, that the immediate past constituency chairman, Mr. Ampah and chairman Basit both failed to lived up to expectations in view of how they discharged their duties for dome kwabenya NDC during his reign as Chairman. Happily i have eaten a humble – pie and I can say with outmost authority and equivocation that he has the best chairman for Dome kwabenya constituency, judging from recent posturing of the current Chairman, and his cohorts. As leading members of good standing, and immediate past council of elders and kingpin’s of the party, some of us cannot sit aloof and watch the party suffer ineffective and structural deficits in Dome kwabenya politics of the NDC ; hence my cry. With this attitude, it baffles me and wandered Why chairman Lamptey of all people, keeps fighting those who don’t support his dictatorship and parochial means? Elections 2020 is a must win and boot- for – boot. I will forever remain a watchman in the party and expose wrongdoings by people who have decided to take the party as their birthed – property.